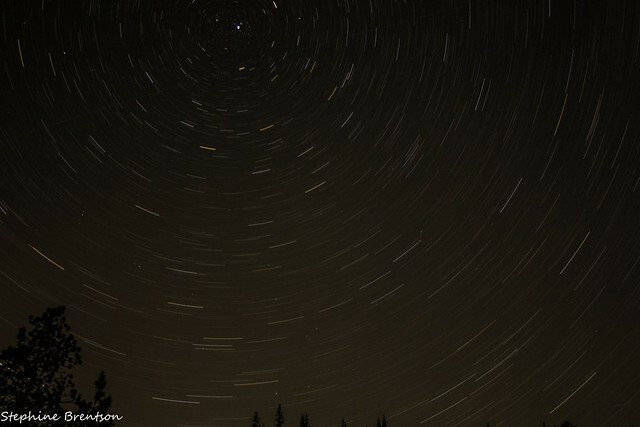 Went up to the mountains last night to try my hand at Star trails. This was my first time doing them. Still have a bit to learn but it was fun. (Note the bright light on the mountain are climbers) This was taken at about 1 am and This is Mt. Rainer in WA State. 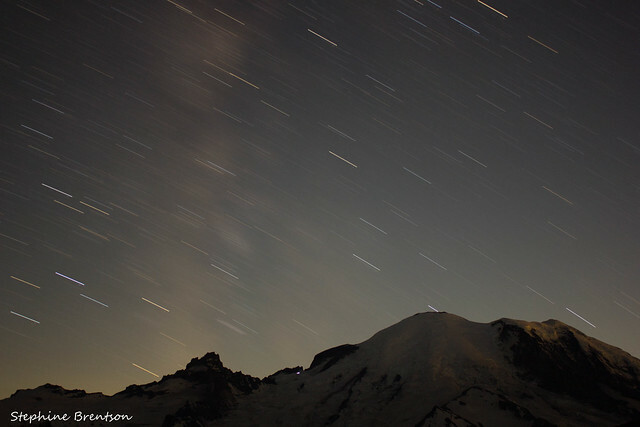 Thoughts for the next time when I go up or soot star trails? This was a hard shot to get as there were a lot of people around last night trying to watch perseid meteor shower and there were many with LED head lamps on ruining everyone's photo's even with how far we hiked up. This is very good! I like the first one best because the mountain gives it context. I was wondering what the light was... then read your description again It's hard to get away from 'people' these days, isn't it?